It is made of 100% cotton fabric, using canvas, silk paper, embellished felt with organza and paper. 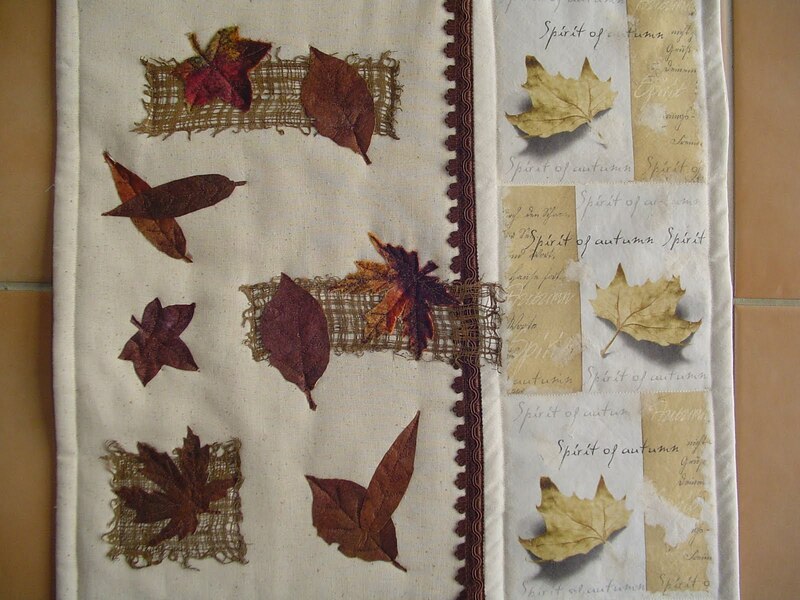 (The leaves are not real; they are silk paper and embellished organza on felt). Lovely! How did you make the leaves look so life like?? ?